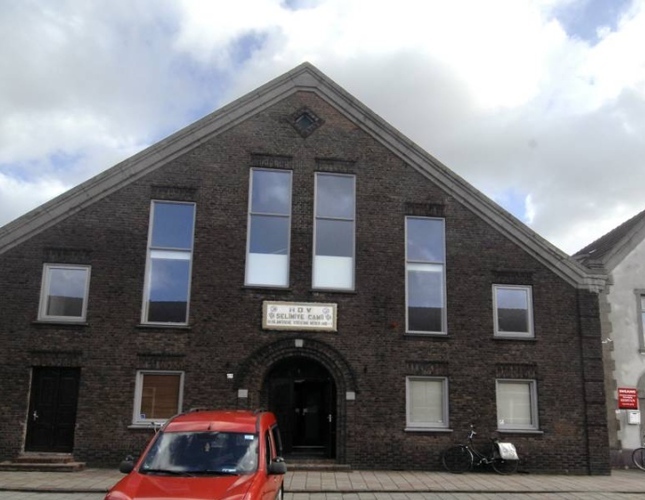 A Turkish mosque located in eastern Dutch city of Enschede was attacked with fireworks late on Saturday. The attack caused material damage to the Selimiye Mosque, which is owned by the Foundation of Religious Affairs of Netherlands (Hollanda Diyanet Vakfı – HDV). The chairman of the mosque’s foundation, Sebattin Yıldız, gave a statement to Anadolu Agency and said that the attack had taken place late on Saturday night and had caused the mosque’s windows to break. “A person whose face was covered left a firework on the mosque’s window” Yıldız said, according to the footage recorded by security cameras. Yıldız added that they had been exposed to similar attacks in the past that had included threat notes and xenophobic writing on the mosque’s walls. “We couldn’t get any results from our earlier complaints to the police, that is why we haven’t reported the incident this time, but the police have contacted us” Yıldız said, adding that they want the attacks to end and those responsible to be punished. Yıldız said that Turkey’s Deventer Consul General Zafer Ateş had visited the mosque to get information regarding the incident on Monday. This entry was posted in Anti-Muslim violence, Featured international, Netherlands by Bob Pitt. Bookmark the permalink.